IAA has always been the place to be for anybody and everybody related to the international automotive world and rightfully so. The auto show has time and again left us gobsmacked with exclusive showcases and this year wasn’t any different. We feel that the 2015 Frankfurt motor show featured two of the most striking and exclusive cars ever conceived. Bugatti brought out a concept that was a statement for the future cars to be produced by the French automaker. 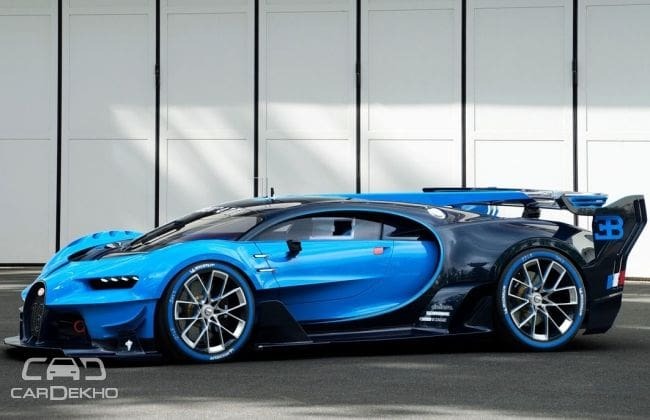 Wolfgang Dürheimer, head of Bugatti, said "Bugatti Vision Gran Turismo is the first stage on a new journey that Bugatti is embarking on following the successful completion of its Veyron chapter". "in the not too distant future," he further added. The Bugatti racing cars from the 20’s and the 30’s, acted as the foundation for the design inspiration. Bugatti won LeMans races in 1937 and '39 and the Vision Gran Turismo is designed to excel on these tracks, which features long, straight sections, so prioritizing the top speed of the car. This particular concept from the Korean automaker comes jampacked with 872-horses. The power is put onto the track with the help of four in-wheel motors that are connected to a hydrogen fuel cell system. Commenting on the design characteristics Hyundai said " it draws inspiration from aeronautics and the testing ground called ‘Muroc Dry Lake’ where pilots and astronauts train, risking their lives for the pursuit of space travel." The car also teases the launch of Hyundai's N brand, which will be its division of high-performance cars. The automaker plans on leveraging the “N brand” to get into the league of high performance cars manufactured by automakers like Merc’s AMG and BMW's M division. But this might help you make you case if you wanna soup-up an old Hyundai. And if you can't afford these cars, do not fret because you can relish the virtual experience of getting behind the wheel of these monsters in the Gran Turismo 6 video game.